Yes, running a marathon will change your life. Around mile 17 of my marathon, the miles got hillier, seeming to drag on, and the spectators and energetic aid stations became more sparse, sapping me of my physical and mental energy. With nearly 10 miles left, I started to doubt myself. Then, from the other side of the course, other runners began yelling to me, “you got this,” and “good job,” with a few thumbs up here and there. I thought it was strange at first, but soon realized how much their words were sinking in as truth. When I started running down the other side (around mile 18 or so), participants were still coming from where I just was. “If they are out there trying their best, running to the finish,” I thought, “I can, too.” After all, they had even further to go than I did. In that moment, I also made a decision to focus on encouraging them, which helped me shift my focus from my own personal struggle to something positive. The other miles flew by, to a point where I knew I could finish, even if I walked. Then, another woman came up beside me and started walking and running with me. She told me her story – she had negative influences in her life and ran to overcome them, to do something positive for her health – which inspired me. We chatted and alternated running and walking the rest of the race. And then we crossed the finish line together! It was nothing short of inspiring. The runners on the course didn’t have much of an audience, so we all had to step in and encourage each other. This wasn’t about who was running the race more quickly; it was about finishing and pushing each other to accomplish something we could all be proud of. A little over a week later, that’s what has affected me most about the race. A lot of this experience has been about pushing myself and my limits. I knew the hours I put in had to be done, but they pushed me in more ways than I thought. While I haven’t been alone by any means (I seriously have the most supportive husband, family and friends), many times the process still felt lonely; I had be my own encouragement and push myself during the hours of workouts, without much outside support. 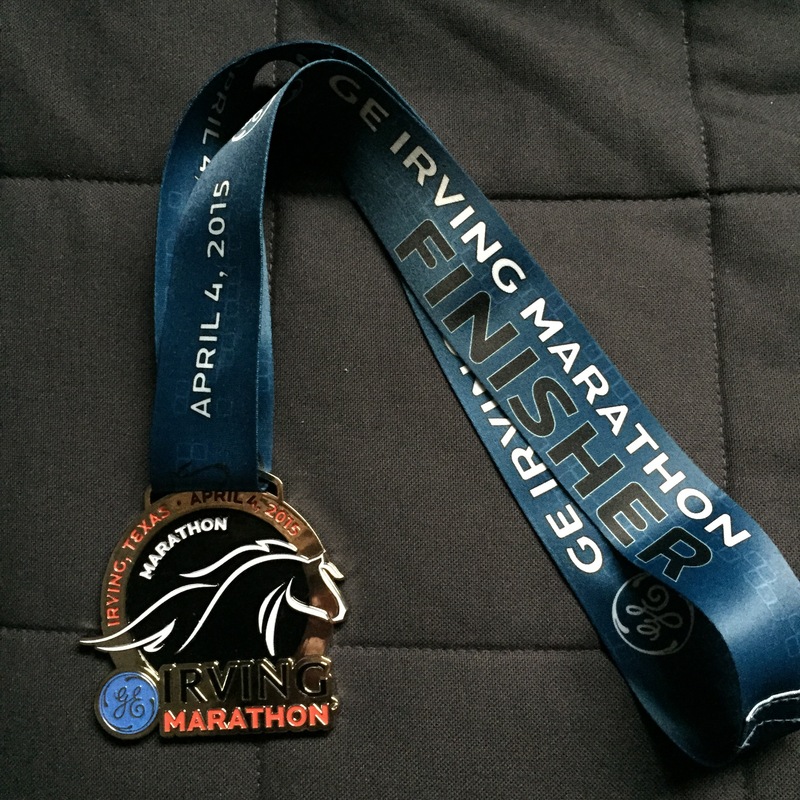 As an individual, training for the marathon was one of the most challenging experiences of my life. What was life-changing about running the marathon was seeing the encouragement within the running community on the day of the race and realizing just how much I needed it to keep going. It helped me be at peace and gave me a deeper sense of accomplishment. I was fortunate to share the joy of my accomplishment with so many of my personal friends, but I couldn’t believe the outpouring of support from complete strangers. Maybe everyone just had a “runner’s high,” but I prefer to think it was because we all needed each other. Most importantly, it has been a great reminder of how simply being kind to others can make a greater impact than you realize. I hope that everyone gets to experience this feeling. For me, it’s reason enough to run a race. Thank you again to everyone who has supported me through this process – from my family and close friends who have listened to me talk about running, of all things (because that’s what was on my mind a lot), to all of you who have offered kind words, advice and support. I cherish the marathon as a personal accomplishment and feel fortunate to share in the joy of finishing with so many people. I’m enjoying the break from training for now, but am looking forward even more to what’s to come and hope to continue getting to know you all better as well!